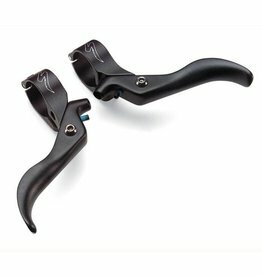 Relieved lever design with sculpted surfaces for comfortable two-finger braking from the bar tops. Offers multi-position braking options. Quick installation clamp system. No interference with bar top hand positions. 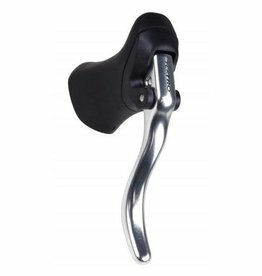 An affordable dropbar road brake lever that’s compatible with road caliper, cantilever and mechanical road disc brakes with aero undertake cable routing.